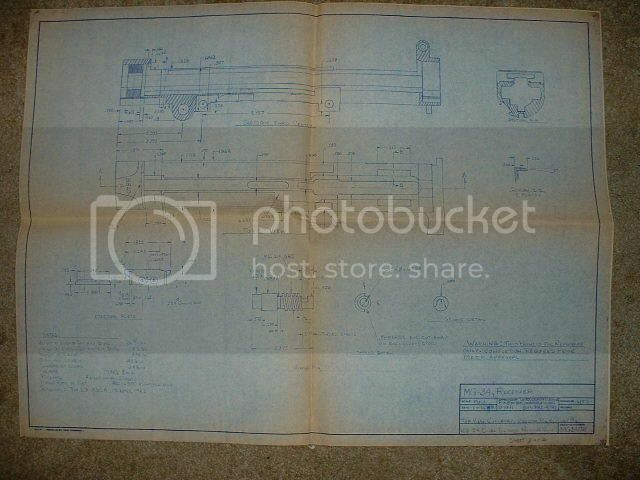 I have a copy of a blueprint I purchased 10 years ago,that was drawn by a Class2 machinist.I just wanted an opinion from Orin or another machinist if these dimentions are correct.I try and take into account that the receiver used for reference may have a lot of front bearing wear and might account for dimentional differences. I have that same set around here somewhere and I found that while it was generally accurate, some (and I don't remember which) dimensions were way off. I started trying to do a 3D model using them and finally gave up because dimensions didn't match up. Here is an example of the kind of errors I found - This is an example only because I really don't remember where I ran into problems with these drawings. Lets say you had set the overall length of the model and started locating cross holes for the recouperator, front and rear gripstick mount, and so on. Starting at one end you locate a hole using the drawings dimensions and continue locating holes until you get to the last one. You find that the last one is too close or too far away from the end opposite from where you started. The question then becomes 1) is the overall length correct or 2) are the hole locations incorrect or 3) a combination of both. Another problem is the drawings are missing a whole sh^T load of dimensions at the front where the cams mount. Wow, a real "Blue" print. That is old!! Thankyou for your assessment of the blueprints! 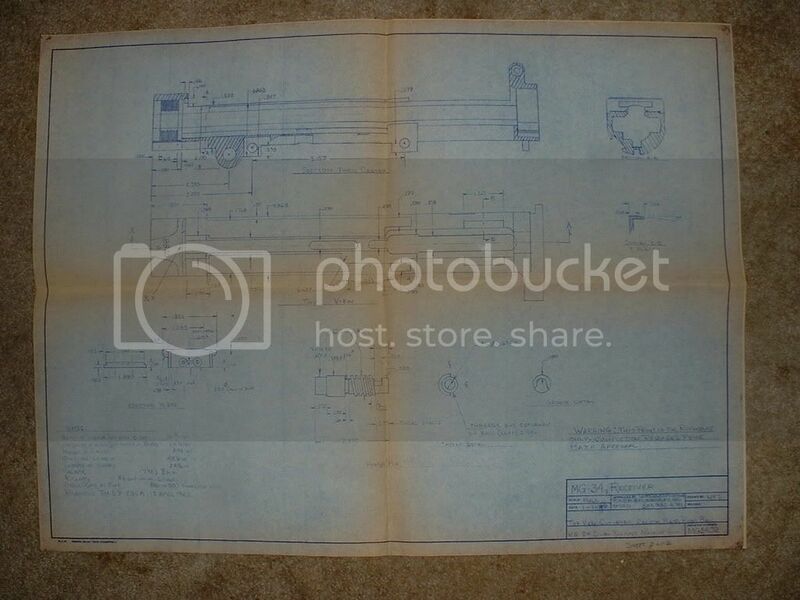 One of the members asked me about my blueprints from an old post and asked me if the prints were accurate.I told him I wasn't sure. 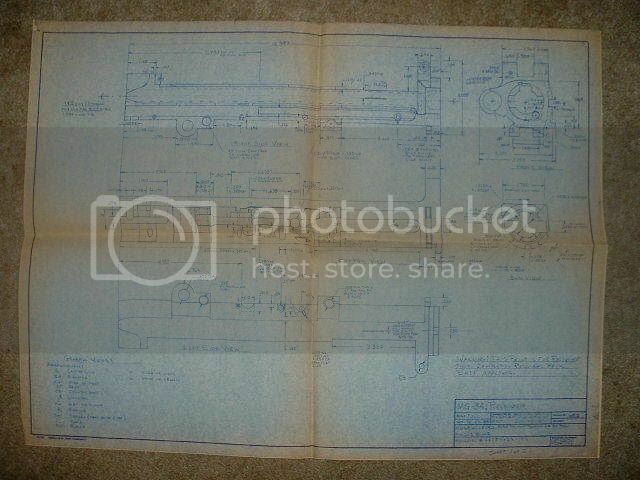 Hi, The image of the blueprint is not visible. Can someone email a copy to me? I'll look for my blueprint and re-post it. The server limits me from posting a higher resolution image like the last time I posted. 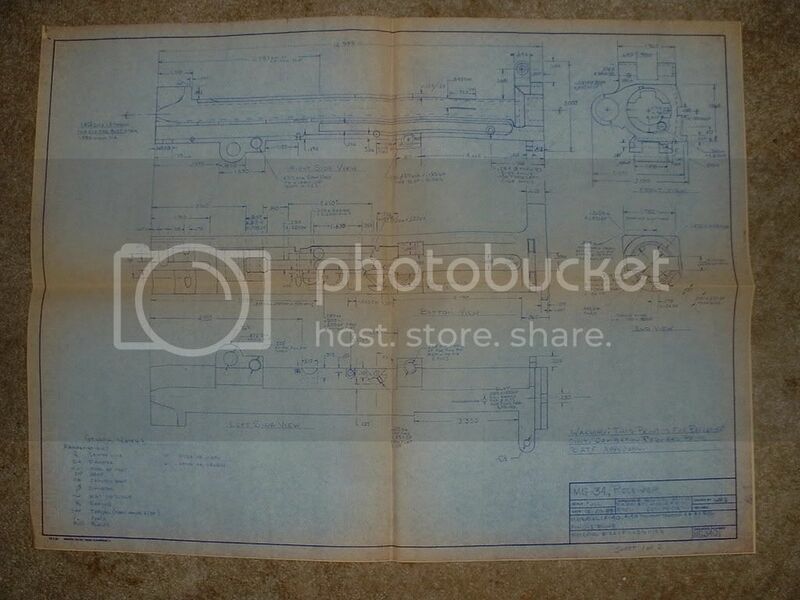 We really need a good blueprint/schematic drawing of the MG34 for the stickie sections! Does anyone have another one that is proven correct or can someone help belthead out. Maybe this direct link to Photobucket will work. "A+: SWEET!!!! These have to be the best i have ever seen,you did good. Thank you! Dennis A+++++ "